Asking someone to spend the rest of their life with you is a moment you’ll never forget. They say timing is everything, but we think it’s also location, location, location! Stonington Borough is full of peaceful, picturesque spots so if you’re thinking of taking your relationship to the next level, consider one of these unforgettable options. 1. Located at the end of Wall Street is Dodge Paddock & Beal Preserve. 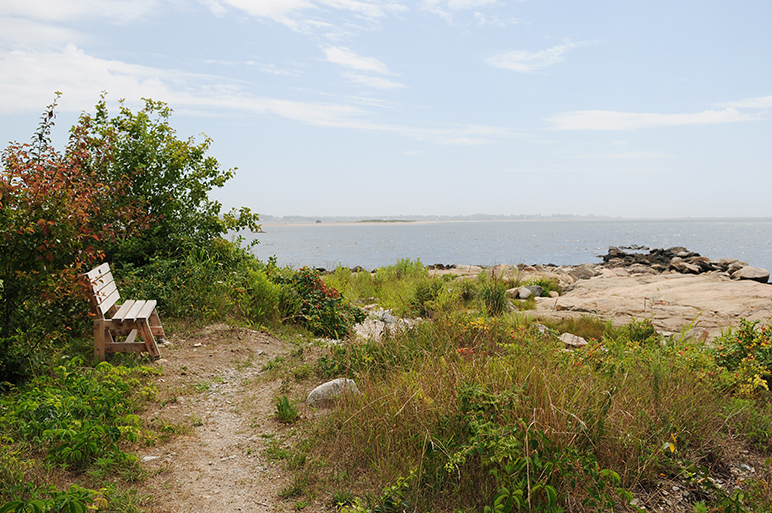 With the loveliest walking trail on an open salt marsh meadow filled with wildflowers and beach roses, there is a bench with the most beautiful view of Little Narragansett Bay. It’s usually quiet and peaceful, and perfect for a picnic lunch. 2. Just 29 steps up a winding staircase and a short ladder to the top of the Tower in the Old Lighthouse Museum, you’ll be rewarded with a 360 degree view of three states that stretches to the Atlantic Ocean in an intimate space. 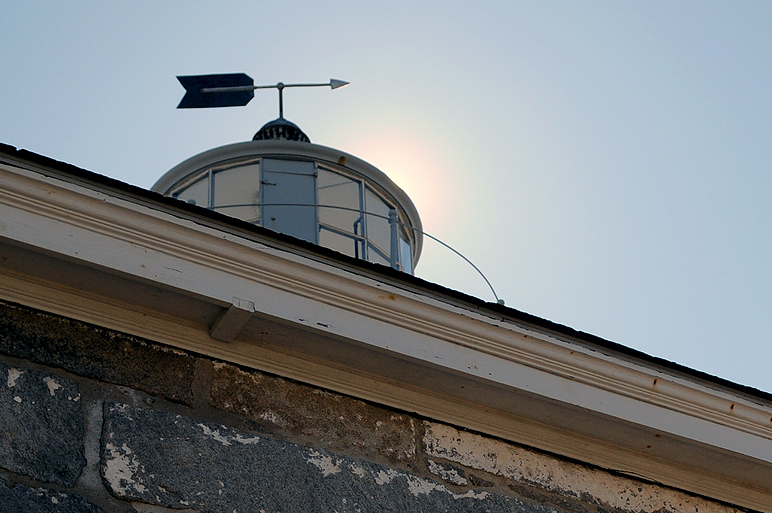 Built in 1840, the Stonington Harbor Light has stood at the entrance to Stonington Harbor for more than 170 years. It’s only open seasonally (Thursday through Tuesday) so you must plan ahead. 3. A few steps down from the Old Lighthouse Musuem is the East Lawn at Stonington Point. It’s a well-known spot for beautiful sunsets and a perfect view of the sailboats in the harbor and two lighthouses — Latimer Reef and Watch Hill Light.